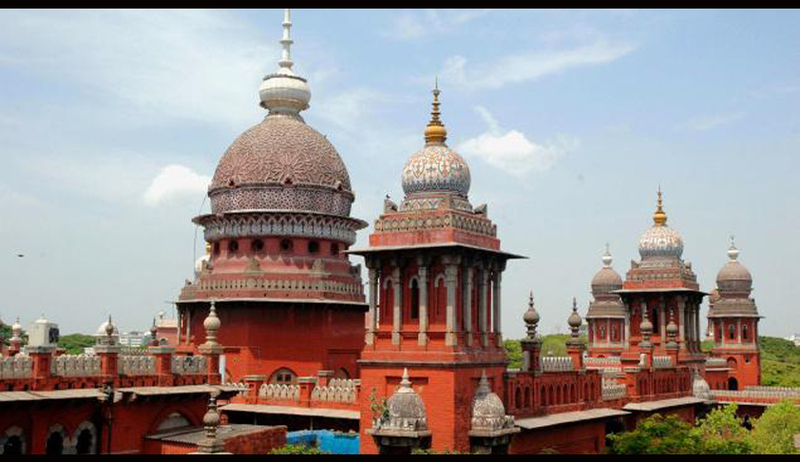 A division bench of the Madras High Court, comprising of Justice N. Paul Vasanthakumar and Justice M.M. Sundresh dismissed several writ petitions through a common order on May 8, upholding the Constitutional validity of Section 2(1) (o) of the Securitization and Reconstruction of Financial Assets and Enforcement of Security Interest Act, 2002 (SARFAESI) and the guidelines issued by the Reserve Bank of India on the classification of assets as Non-Performing Assets (NPAs). These 40 petitions were filed by various companies and individuals, who were indebted to banks and the banks thereby initiated proceedings under the SARFAESI Act, 2002 after declaring the assets as "Non Performing Assets" in view of the guidelines issued by way of the Circular by the Reserve Bank of India. The Court emphasized on the role of RBI in the country and stated that the Reserve Bank of India has got ample powers to issue appropriate directions to the Banking Companies. The RBI Circular challenged in the petitions, Circular DBOD.No.BP.BC.116/21.04.048/2000-2001 dated May 2, 2001 was stated to be brought to the fore in order to align the prudential norms with the international benchmarks. According to this Circular, a non-performing asset (NPA) shall be a loan or an advance interest and/or installment of principal remain overdue for a period of more than 90 days in respect of a term loan. This Circular was been issued by the RBI by considering two reports of the Expert Committee by name “M.Narasimham Committee” upon taking note of the public interest of depositors, transparency, uniformity and stability of the Banking system as well as the prevailing International practice. The Petitioners argued that issuing directions or guidelines relating to Asset Classification is essential legislative function and therefore it cannot be delegated. A delegate cannot formulate a policy. A delegated legislation, if exercised, is liable to be struck down as unconstitutional. They also contended that the Circular in question is very vague. There is ambiguity between the different classifications of the circular. "Non Performing Asset" has been defined first and thereafter the classifications have been made. The Court however, was of the view that there is no delegated legislation involved in the case on hand and added that even assuming that there is a delegated legislation involved, the same is not excessive as there are sufficient guidelines available in the earlier enactment and based upon which the Circular has been issued by the Reserve Bank of India, being a specialized body. According to the Respondents, the issues were no longer Res Integra as they are already covered by the decision rendered by the Supreme Court in Mardia Chemicals Limited and others Vs. Union of India and others, and therefore it is not open to the petitioners to re-agitate the same. The constitutionality of an Act once upheld by the Supreme Court would bring about finality and hence the same is not open to be challenged on new grounds. The Court accepted this contention with regard to the RBI guidelines and scope and ambit of SARFAESI Act and upheld their validity. Finally, limiting the scope of judicial review, the bench added that while dealing with a legislation pertaining to a specialized field, that too, a one like economy, the Court should adopt a “dignified reluctance”. While exercising its power of judicial review, a good deal of latitude is permissible in case of economic statutes….We do not like to take the role of a higher authority to review a decision made by an expert body on the materials placed before it…..Such an attempt would be akin to a search by a visually impaired person to find a black cat during night time in a dark room when the cat itself is not there.